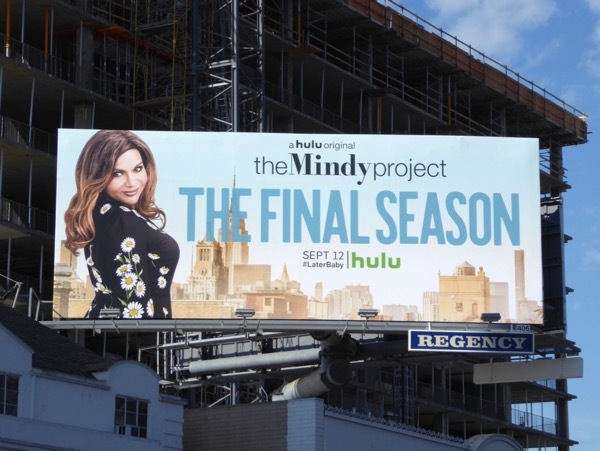 The Mindy Project may be coming to an end with its sixth and final season, but you have to remember that's three more seasons that the romantic comedy had after its cancellation by Fox when it was snapped up by streaming platform Hulu. This final chapter will show us life after marriage for Mindy Kaling's OB/GYN 'Mindy Lahiri' and whether it will end end happily ever after for all concerned. 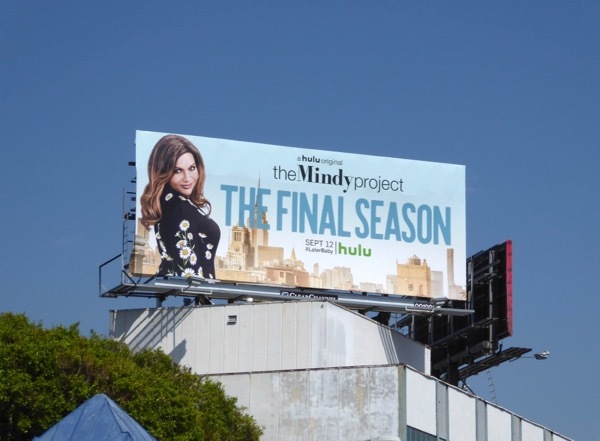 These billboards for the final season of the rom-com were snapped above Beverly Boulevard and the Sunset Strip from September 8 to September 10, 2017. 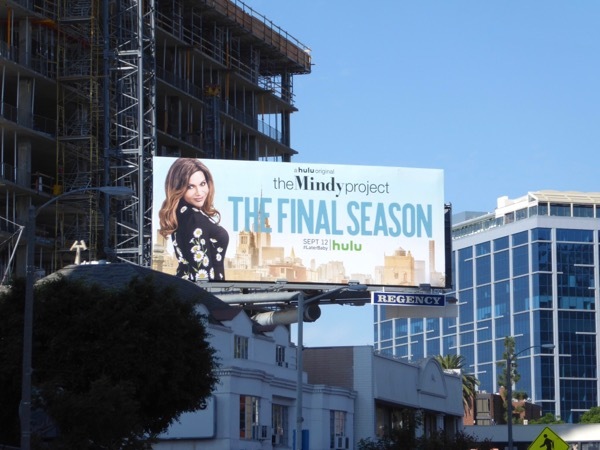 Fans of the show can also check out these previous season promo and Emmy billboards for The Mindy Project. Let's face it, with sitcoms being revived and rebooted years after their seemingly final episodes of late, this may not be the last we see of The Mindy Project after all.